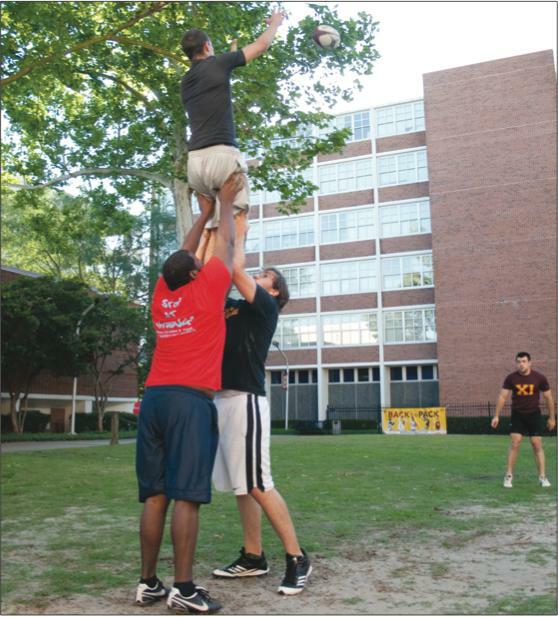 Kwame Juakali, philosophy senior, and Michael Dewey, criminal justice junior, hold up Alla El-Jaouhari, general bussiness sophomore, as Cody Dardeau, criminal justice senior, passes him the ball. 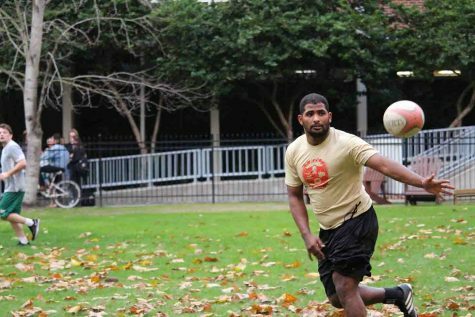 The Loyola rugby team will face the task of playing the British Naval Team as a part of the bi-centennial celebration of the War of 1812. 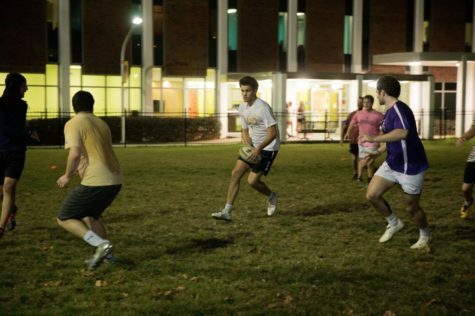 Although Loyola faces Division 1 and 2 teams during the season, a more experienced team made up of men cur- rently serving in the British Navy will give the Wolfpack the biggest challenge of the year. 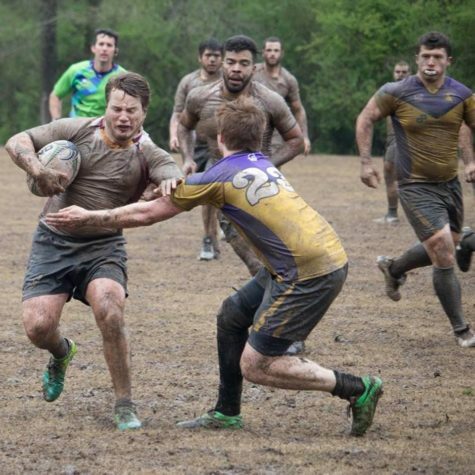 The match will be played at Pan American Stadium in City Park at 11 a.m. on Sunday, April 22. 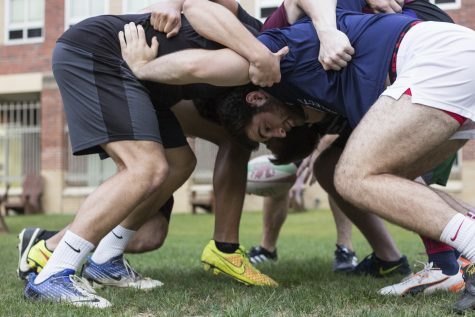 ‘Pack players are treating the exhibition match not only as an opportunity to display their talent, but also as a way to gain support for the sport at the university. 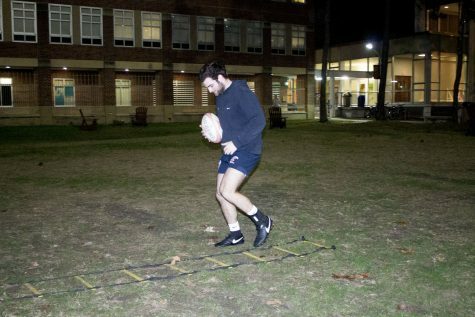 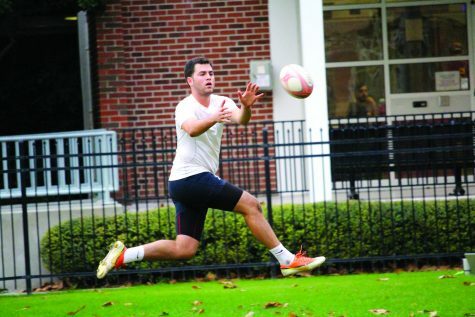 Although it is an exhibition match, Loyola Rugby Coach Sam Brock is not diminishing the magnitude of the match. 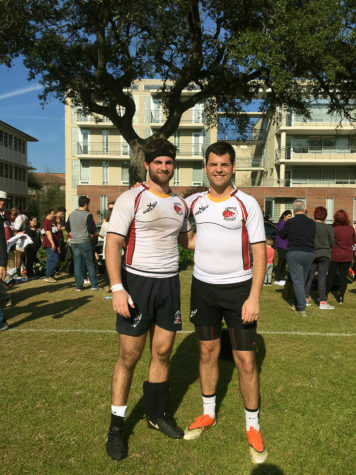 There are numerous rugby teams in the city, though the director of the New Orleans Sports Authority referred the British team to play Loyola. 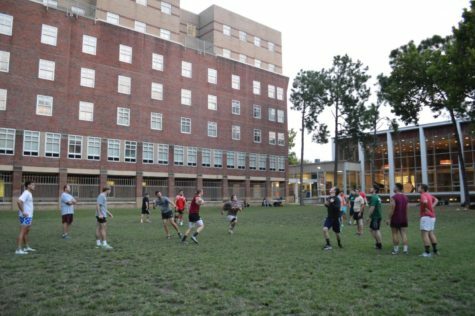 cord below .500, though the team had several close matches against Division 2 universities such as the University of Southern Missis– sippi and Tulane University this season.